As dog owners and dog lovers ourselves we know what a special part of the country this is for your dog to explore. With Dartmoor and the coast both close by there are miles of walking for you and your canine companion to enjoy. 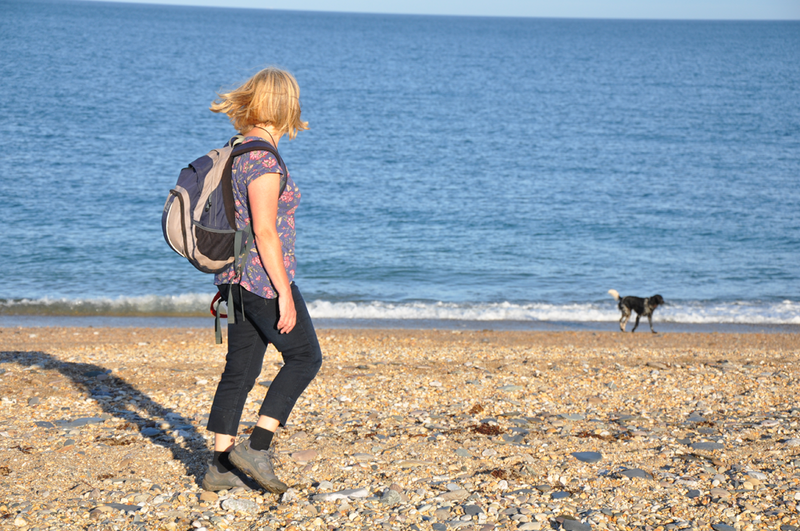 We have walking books specifically written for dog owners and guides to dog friendly beaches. 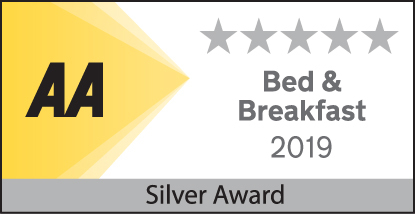 We are therefore very happy to accept quiet, well behaved dogs to stay in both the Brooking Room and Garden Suite. There is a charge of £7.50 per dog per night. 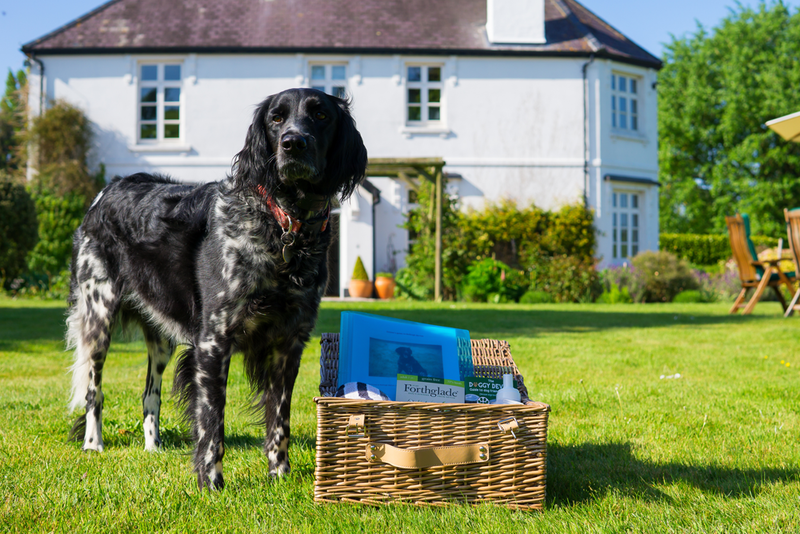 Dogs are provided with a hamper full of things to use during their stay. From home made liver treats to dog towels and blankets, we have tried to think of everything to ensure that your dog enjoys their stay as much as you do. We have learned from experience that even the best behaved dog can be unsettled by a new environment. We therefore have three house rules that we ask you to bear in mind when booking your stay. Please do not leave your dog unaccompanied in your room. Please do not allow your dog on the furniture. Please keep your dog on a lead in the shared areas of the house. 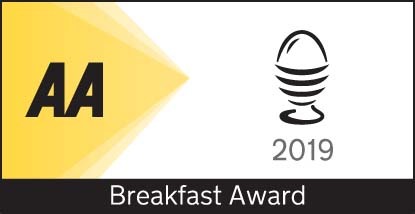 "Genuine warmth and hospitality of the highest order", Visit Devon Tourism Awards 2017 judging panel. 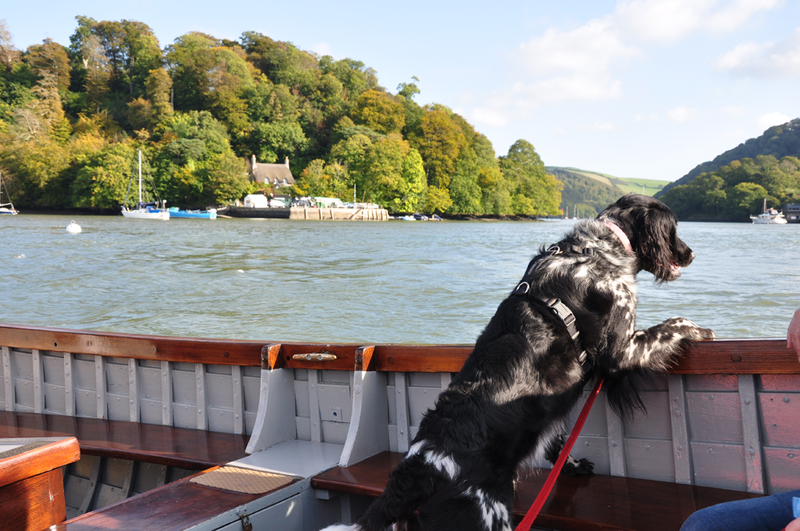 Winning Gold in the Dog Friendly Tourism Business category at the Devon Tourism awards in November 2017, made us realize just how lucky our dog is, and all the dogs that are brought on holiday here by their loving owners. So it’s time to do something for those less fortunate. For the month of March (a great time to visit Devon with your dog as they are still allowed on almost all local beaches), we will be donating all dog charges (of £7.50 per dog per night), to Ipplepen based rescue and rehoming charity, Animals in Distress. Just for fun we will also be offering a special inclusive “a la bark” breakfast treat menu for the month, with items to tempt even the fussiest of canine guests! And of course your dog can expect the same care and attention that led to us winning our award. To take advantage of this offer please phone us on 01803 873411 to make your booking. You may also wish to note that we have alpacas and free range chickens in our paddock. Although there is a fence between the paddock and the garden, a determined dog might find their way through! So please keep dogs who are likely to chase our chickens or alpacas on a lead. If you have any queries at all, please just give us a ring.